Locks in freshness with patented micro-thermal technology and won&apos;t leak! Seal in the fresh flavors, textures, and nutrients of leftovers instantly in the original bag when... You&apos;re camping , Out on a boat , after a picnic or a cookout at the beach. Locks in freshness with patented micro-thermal technology, so even liquids won&apos;t leak! 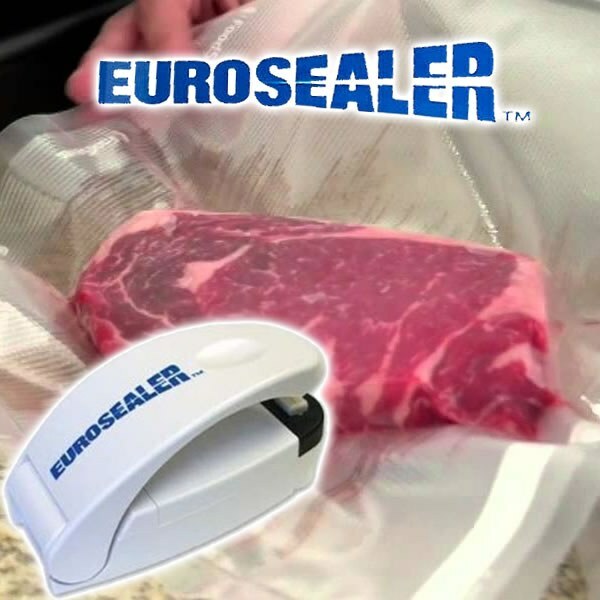 The Euro sealer does what its supposed to do - seal. However, you have to have a little bit of patience and practice. Once you get the trick down its a good seal everytime. If you hold and press for too long it will cut through the plastic. Hold and press gently, count 1:1000 - 2:1000 then glide it steady from end to end. This works for me. It may vary for others.